This time we meet Frances. 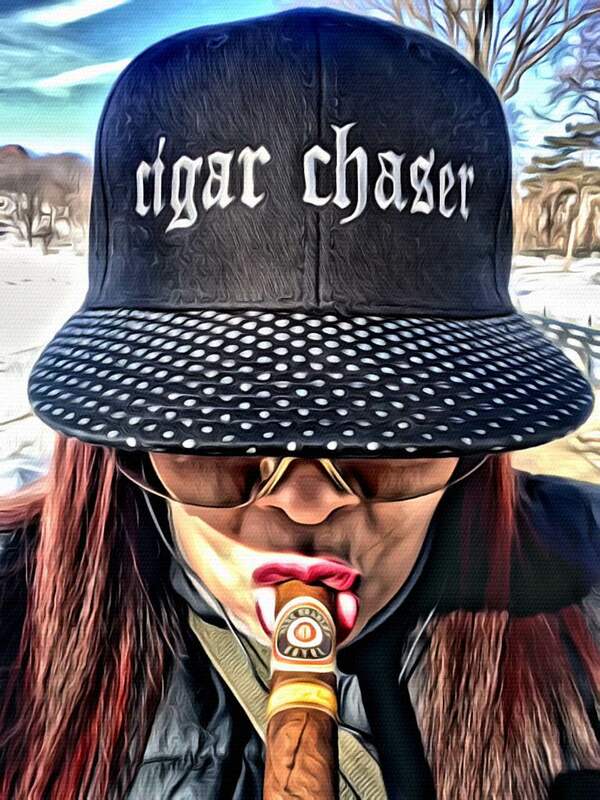 She’s a native New Yorker and CEO of Cigar Chaser co. A CIGAR apparel company. I started smoking approximently like 16 yrs. ago. I was introduced by my X boyfriend Tito Yates while I was living with him in Dominican Republic. It just became a natural ritual in our lives. Tabaco Y Ron just went together. 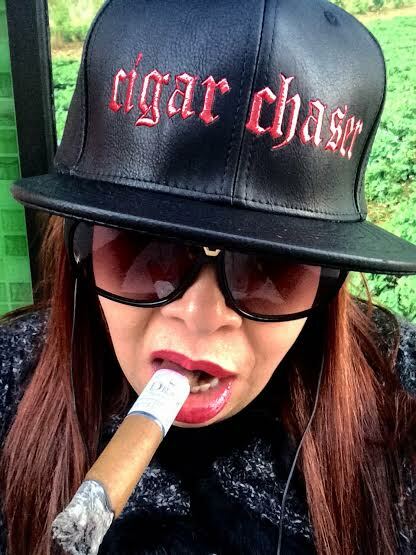 One of the main reasons why I was intrigued by cigars was because I use to see my grandmother smoking these huge gauge cigars while grinning her coffee beans early in the morning in Santiago, DR. She looked so beautiful but so confident at the same time. I can smoke 3-5 cigars a day. It depends on the occasion or the weather. The best place I smoked a cigar was in La Marina in La Romana, DR inside the Casa De Campo compound. 5)what do you use to cut the cigar? I usually cut my cigars with a v-cutter or a punch holder. 6)how do you feel while you are smoking? When I smoke cigars I usually feel complete euphoria. It’s not a way to exhale or relax from a strenuous day but more spiritual to me. The Taino Indians in DR would smoke cohoba to connect with higher beings. So if u see me in my zone I might be connecting with my grandmother, my mother or my X. Since he introduced me this lifestyle. 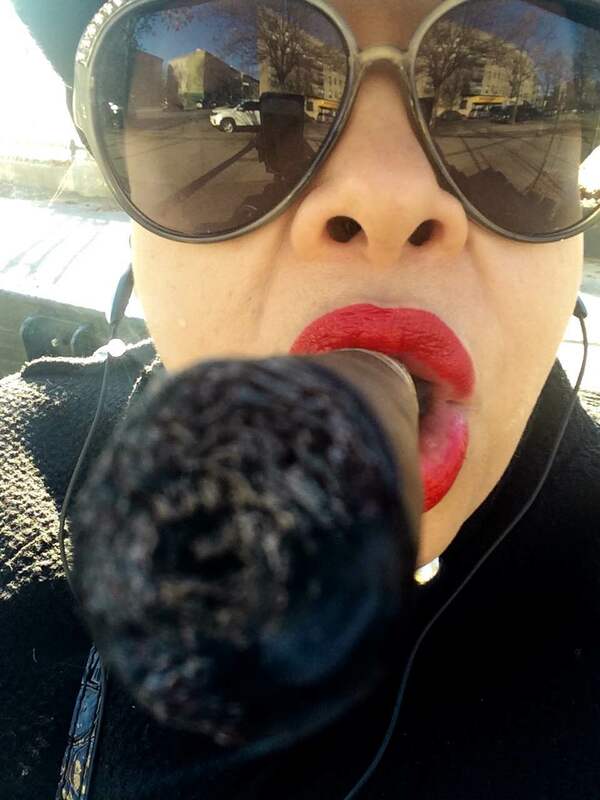 7)when do you light your first cigar of the day? I usually smoke my first cigar around 10 am before I go to work. My breakfast stick. 8)what is the cigar for you? Since I’m a strong woman; I love a full body. Maduro cigar. Thank you very much Frances, for sharing your smoking experiences. Good ashes. 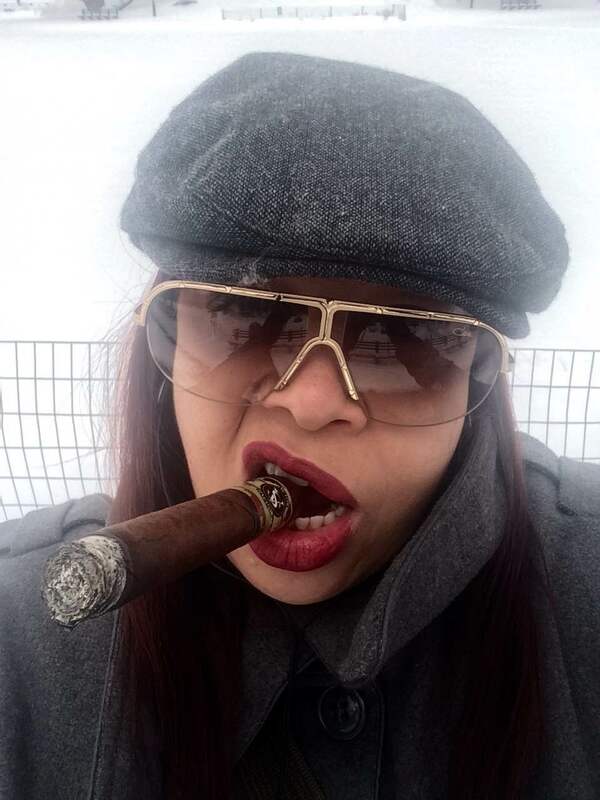 2 Responses to "“Frances Martinez Cigar Chaser„"
That is one of the best ladies I’ve ever known solute Francis ! I met Francis (manita) a few years back. She is in fact a very strong woman. Down to earth, real and funny as hell. She is the real deal. Love me some Francis!